Body is made of electrostatically painted metal. Pan supports and burner are made of rust-proof magnetic metal. A classic device. Body is made of electrostatically painted or rust-proof metal. 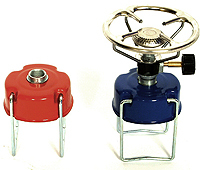 Pan supports and burner are made of rust-proof magnetical metal. A compact and functional device. Body is made of electrostatically painted or rust-proof metal. 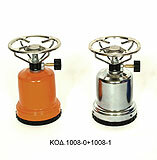 Pan supports and burner are made of rust-proof magnetical metal. You will never again have to look for a lighter. 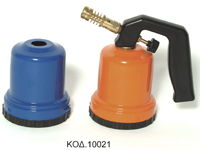 The piezo ignition guarantees 200.000 lightings. It's attractive and simple design adorn your kitchen. Body is made of electrostatically painted or rust-proof metal. Metal parts are made of rust-proof magnetical metal. Provides economy and power up to 100W. Body is made of electrostatically painted or rust-proof metal. Plastic parts are made of polypropylene. Its efficacy makes it a must for the professional technician.